Welcome to the Antonio Financial Group (AFG), an independent Registered Investment Advisor (RIA) serving clients in the Los Angeles, Orange, and San Diego counties as well as clients in North Carolina. We were founded on the basis of providing objective financial planning advice not ordinarily available in most traditional financial advisory relationships. True financial planning need not be about buying expensive financial products, it should be about giving the client actionable objective advice that can be implemented. AFG takes a personal and professional consultative approach to meeting the changing needs of their clients. We offer our clients a free initial Get Acquainted meeting, which can be conducted in person or by phone. There is no obligation. For hourly engagements, we give you an estimate, up-front, of the expected fee and will not go over that level without your permission. You choose how much we do for you. You can implement the plan yourself or we can assist you. We pride ourselves on providing objective advice and services to our clients without the traditional conflicts of interest present in most traditional financial advisory or brokerage firm environments. As such, we do not participate in financial inducements such as: front-end/back-end commissions, 12b-1 fees, prizes, vacation trips or other types of conflicts that may alter the advice that would otherwise be given without such inducements. Our primary objective is to meet the growing and ever changing needs of our clients. 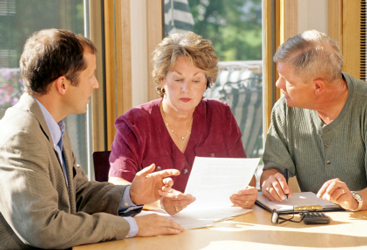 The services we provide include: asset management and financial planning. We offer a complimentary, no-obligation Get Acquainted meeting to determine if your needs and our services are a good match. If you live outside of California, we would be happy to work with you “virtually” via email, the telephone and web conferences. Simply call or email our office for an appointment.